Basis@336 is a resource centre that aims to meet the needs of those experiencing homelessness by offering support and practical services. People accessing the project can make use of our shower and laundry facility, have breakfast and a hot cup of tea. Whilst accessing the project staff are on hand to assist with issues associated with homelessness and can offer information, advice and guidance on a range of issues including benefits advice and support as well as referral to specialist services. The main aim of the project is to support people into accommodation and end rough sleeping in Gateshead. Our client group is made up of rough sleepers, sofa surfers and those who may have accommodation but this may have been made precarious by a number of issues as well as the clientÍs previous homelessness. Basis@336 is the No Second Night Out provider for Gateshead which means we are committed to ensuring that anyone who is new to sleeping rough will not have to spend a second night out. As part of this commitment we manage a small number of emergency bed spaces for those who have been verified as rough sleeping and we support those folks to find longer term accommodation. We have a Freephone number that members of the public can contact if they find someone sleeping rough or a rough sleeper themselves can alert us to their predicament. Following the reports we aim to go out to the reported site within 24 hours (48 hours on a weekend). 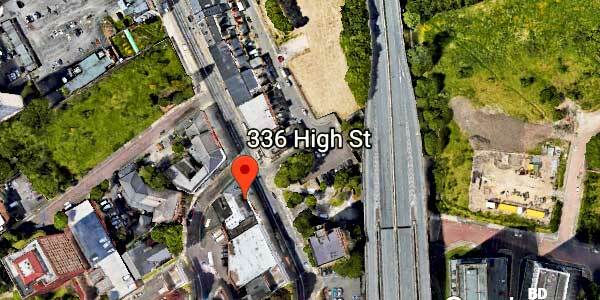 Basis@336 is open Monday to Friday 9am until 2pm and the project is direct access so service users are welcome to drop in, no formal referral is needed. The No Second Night Out Freephone number is 0800 056 8588.